Hypertension or high blood pressure is a disease that can be experienced by everyone . Not only is influenced by heredity , but also caused by an unhealthy lifestyle such as exercise rarely have the habit of smoking , overweight , and often stressful . High blood pressure should not be underestimated and overlooked because of this disease if not treated can develop into a more severe illness . High blood pressure can lead to stroke , kidney disease , and heart attack . Therefore, it is important to treat high blood pressure correctly . 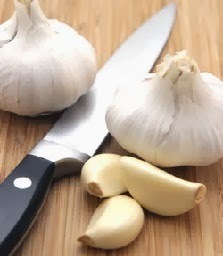 Research conducted in 1003 showed that hypertensive patients decreased their blood pressure after eating garlic . In addition to successfully lower blood pressure , garlic is also known to not have any side effects on the patient . Other findings also found similar results and was published in the journal Pharmacotherapy in 1993 . A study published in the Journal of Biochemistry and Biophysics in 2009 reveal that cardamom can help treat hypertension . These results were found to researchers after they surveyed 30 patients with hypertension were given three grams of powdered cardamom . Natural spices are known to be very effective for lowering blood pressure and no side effects . Quercetin , an antioxidant substance found in red onions . This substance is known to lower blood pressure in hypertensive patients , according to a study released by the Journal of Nutrition in 2007 . Shallots are known to be effective for lowering hypertension compared with placebo . The study, published in the Journal of Renal Nutrition found that taking turmeric supplements can help lower blood pressure . These results were obtained after the researchers looked at two groups of participants were given 500 milligrams of turmeric for three months . Research conducted on 58 people who have diabetes and high blood pressure found that eating two grams of cinnamon can lower high blood pressure , as well as HbA1c levels indicate blood sugar levels in the body.